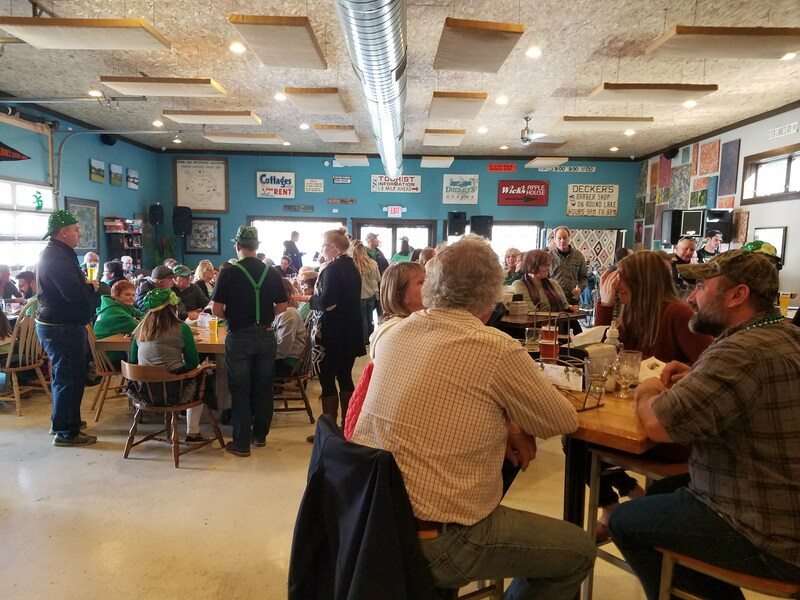 On Saturday, March 17th we ventured out to visit five small town breweries in Southwest Michigan. Taking advantage of the nice weather and getting away from the St. Patrick’s Day crowds in the city, we planned to use a few Groupons and visit some new places that we knew little about. Below is a short recap of each of our visits, links to the Groupons we used, and at the bottom of the page is a map with driving directions. 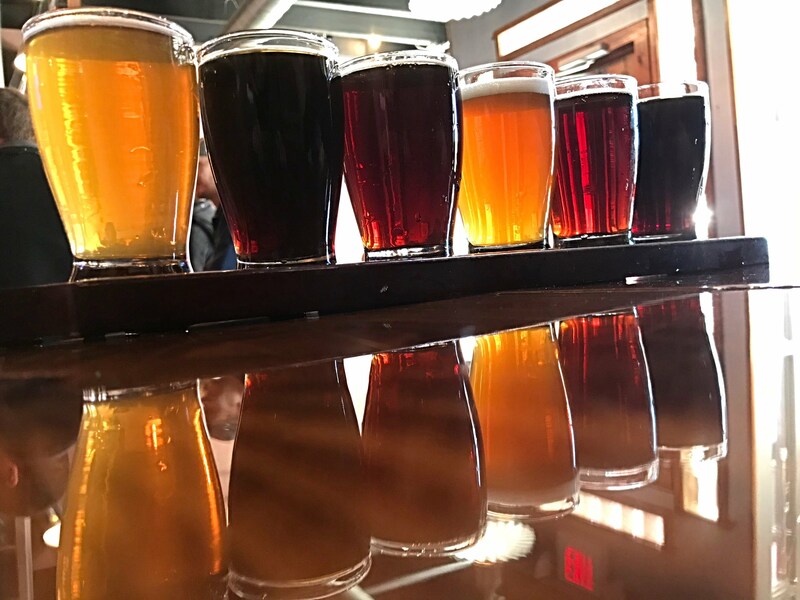 Our first stop was in Three Rivers (a straight-shot drive south on US-131 from Grand Rapids; 72 miles) at Kelsey Block Brewing Company. Located in the oldest building in Three Rivers, this brewery celebrated its one year anniversary on March 18th. We had a Groupon for two flights and an appetizer of chips and salsa, which allowed us to try all six beers on tap. The Crossroads IPA and the Porter were both served on cask. 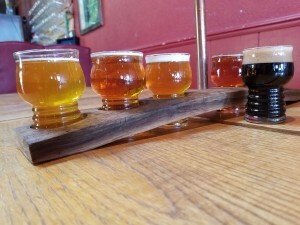 Other beers on tap included the Irish Red Ale, Double Trouble (Double IPA), Cascade S.M.A.S.H., and Empire Pale Ale. While there wasn’t a bad beer in the bunch, the Empire Pale Ale was a standout for us, and it features Michigan-grown hops. 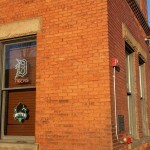 Kelsey Block Brewing Company also offers a variety of food in a cozy, relaxed atmosphere in downtown Three Rivers. This place is definitely worth a stop if you’re passing through. 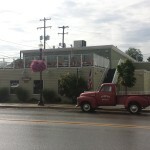 From Three Rivers we headed south to Constantine, home to Constantine Brewing Company. 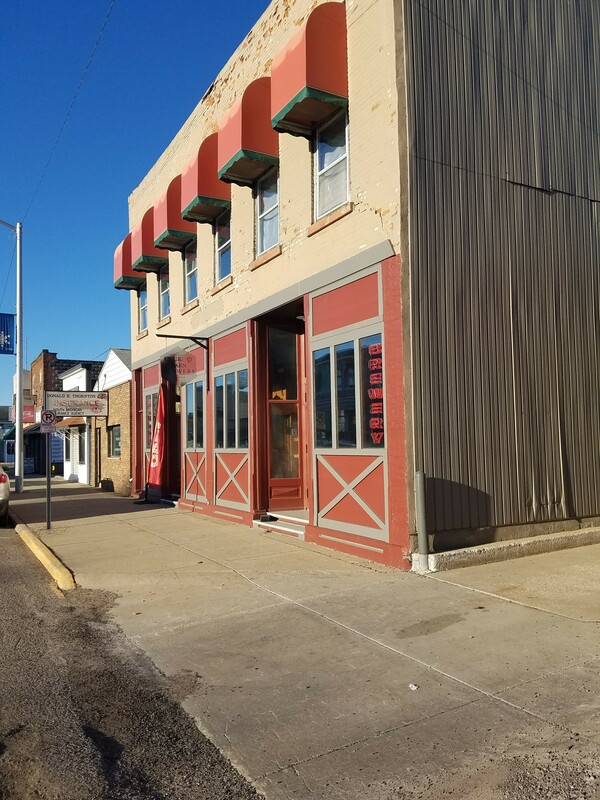 Located in a similar setting to Kelsey Block, this brewery had the same small-town charm and welcoming atmosphere. We were also impressed with the variety of beer styles available. 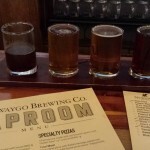 In our flight we tried the Emperor’s Victory Stout, Black Galactic (Black IPA), Untamed IPA, Goatman Porter, Death By Chocolate (Stout), and Hot Mangos Mama. My favorite here was the Hot Mangos Mama, which mixed fruit and a little bit of heat. 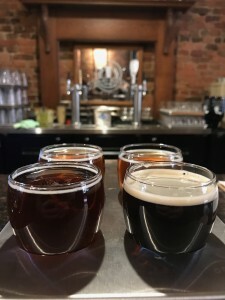 Constantine Brewing Company also offers a food menu that includes appetizers, pizzas, burgers, and more. Getting to our third stop required a bit of back roads driving, but when we reached Sister Lakes Brewing Company it was worth it. This brewery a few miles northeast of Dowagiac was packed thanks to a St. Patrick’s Day party that featured live music, green beer, and plenty of special Irish food options. Our Groupon here was for two flights of four beers and two pint glasses, so we each picked out some beers from the large and diverse menu and headed out to the patio to try them out. 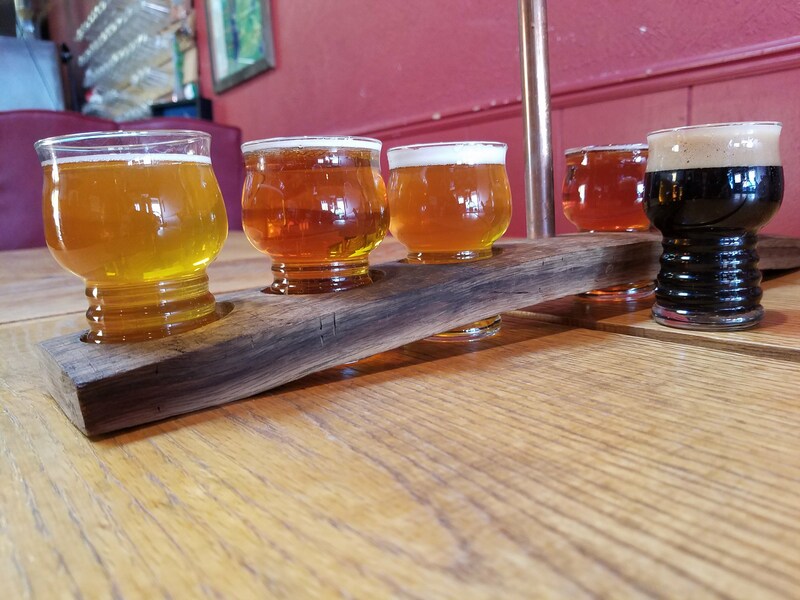 Our first flight featured Dewey Lake Monster (Imperial IPA), No Motorboatin’ (Black IPA), King of the Raft (NE IPA), and Irish Red Beards (Irish Red Ale). I’m a big fan of hoppy beers, and really enjoyed the King of the Raft and the Dewey Lake Monster. Our second flight included Day Starter (Brown Ale with Coffee), Hefe Duschene (Hefeweizen), Magician’s Magic Milk (Stout), and Barefootin’ (Berliner Weisse). The standout here was the Day Starter, though the Barefootin’ was a good sour that would make for great summer drinking. Next up was a stop in Decatur at Final Gravity Brewing Company. 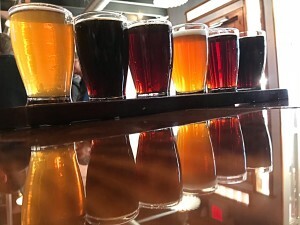 Our flight included Autumn Surprise (Pumpkin Beer), Flying Falcon (Imperial Pale Ale), InDecatur (Imperial IPA), Tres Prune (Sour), Eye Opener (Stout), and The One (IPA). All beers were solid, with the Autumn Surprise, Eye Opener, and Tres Prune being our favorites. It seemed like things could get tight inside on a busy night, so we were glad we timed our visit between lunch and dinner. 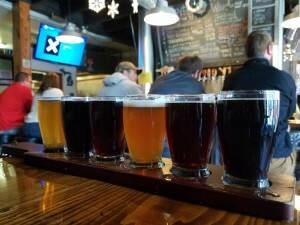 Final Gravity also offers a full food menu and recently opened a second location in Kalamazoo. Our last stop of the day was in Lawton at Barn Brewers Brewery. 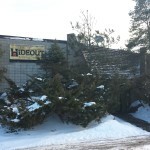 The Groupon for this stop included two flights of four and two cans of beer to take home. The first flight included the Barn Root Beer (hard root beer), Barn Dance Irish Red, Center Punch (IPA), and STHL (Imperial IPA). Our second flight featured Snow Blower (Witbier), Pee-Can Porter, Jerry Rig (Belgian Blonde Ale), and Chris’ Candy (Caramel Porter). the Pee-Can Porter was hands-down the best beer here, though we didn’t really try one we didn’t like. 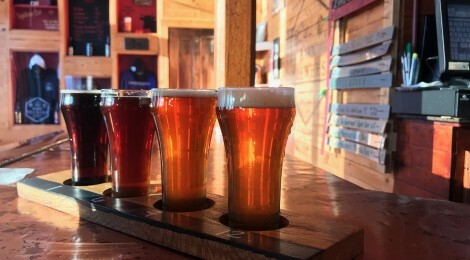 Barn Brewers impressed us with friendly, attentive service and a warm small-town atmosphere.